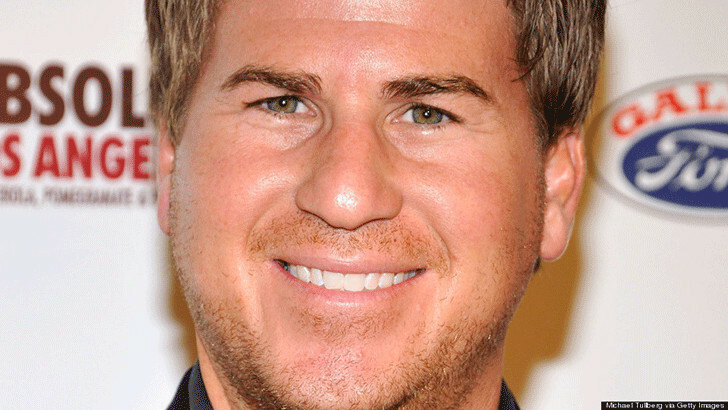 Jason Hervey, a mesmerizing and phenomenal American actor was born on April 6, 1972. Well known for his role on The Wonder Years as Wayne Arnold, he is also a television producer and former public relations agent. He has won million of hearts with his acting and hard work. He has one of the hunky looks in the industry. He is a very creative and great individual. Hervey has always been willing to help the newcomers and the youngsters in the industry. Having great looks and the cute smile he has always been a dazzling person to the women. Talking about his early life, Jason Hervey was born in Los Angeles, California to Alan Harvey and Marsha. His father Alan was a retail sales manager and mother Marsha was a talent agent. His ethnicity is not disclosed yet but there is a high chance of it being white. He has a brother and his name is Scott Hervey. Having passion in acting, Jason Hervey first appeared in the commercial at the age of 4. From then he has appeared in more than 250 commercials for many different brands of America. His commercial appearances led him to television shows in which he was noticed by many producers and directors. He was spotted in many the films like Back to the Future, Back to School, Police Academy 2, Pee Wee’s Adventure, Monster Squad and many others. He was cast in the very successful family drama The Wonder Years and he played the role of the older brother of Fred Savages in the drama. The drama was a big break for him. Jason Hervey has also worked for the HealthSouth Corporation as the Senior Vice-President of Media and Communications from 2001, which is based in Birmingham, Alabama. He worked in the corporation for 2 years. In the same year, he became an executive producer for World Championship Wrestling (WCW). At that time, he became a very good friend with the WCW Vice President Eric Bischoff. Later they became partners and started Bischoff/Hervey productions. Their production company created many sports and reality television shows. While talking about his physical appearances, Jason Hervey is not the very tall guy. He has a height of 5 feet 4 inches. But his height of popularity is way beyond the boundary. There are many websites that have written biography about him. Taking about his personal life, Hervey is a married person. He dated Kelly Patricia O’Neil and the couples were engaged. They were planning in getting married soon but unfortunately their relationship ended due to some disputes. The reason for their separation is not revealed yet. Both of them moved on with their life and that’s when Hervey met Shannon Hervey. They started dating each other and got married in 1998. They are still together and are living happily with their four children. Before marriage, Shannon already had two children from her previous marriage and both the children are living with Hervey and Shannon. According to the sources, Hervey’s net worth is estimated to be $2 million (2016).